The World Health Organisation (WHO) has now issued draft guidance to test suspected spurious/falsely-labelled/falsified/counterfeit (SFFC) medicines. It expects the industry to comment before January 10, 2017. The regulator has stated that the national and regional regulatory authorities (NRAs) are responsible to put in norms to control production, distribution and commercialization of medical products in order to ensure their quality through rigorous regulatory oversight, including post-marketing surveillance. Rigorous regulatory oversight of medical products throughout their life cycle is necessary to recognize and remove SFFC products and to protect the supply chain against infiltration of such products. SFFC products originate from outside the legal supply chain. 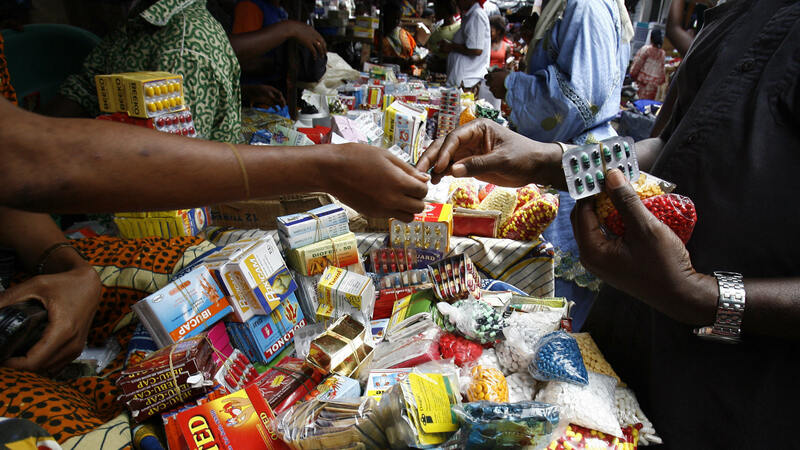 It is important that NRAs control the supply chain and raise awareness of health workers and patients of risks associated with medicines from illegal sources, said WHO. The role of WHO, through its Expert Committee on Specifications for Pharmaceutical Preparations, sets technical standards on quality assurance of pharmaceutical products, including guidance on registration, good manufacturing practices (GMP), good distribution practices (GDP) and quality control (QC) testing of medicines and other topics that are relevant to the regulatory oversight of medicines. This document provides technical guidance on laboratory testing of samples of suspected SFFC products detected on the market of WHO Member States and related aspects of sampling and reporting. Regulatory authorities are responsible for establishing mechanisms to detect SFFC products circulating in their territories and to remove them from the market. Suspected SFFC products can be detected using a range of approaches, including routine inspections performed by national or regional authorities and enforcement agencies, targeted risk-based surveys. SFFC products may be identified by their fake packaging and/or by physical and chemical testing. The packaging and patient information leaflets of suspect SFFC medicines should always be examined visually and compared with samples or images of genuine products if available. Attention should be paid to any irregularities or inconsistencies, such as spelling mistakes, unusual batch numbers, unexpected or modified manufacturing or expiry dates, signs of repacking, for example, to circumvent inspection activities, or instructions in a language that does not match the area of their distribution. Microscopy and other analytical techniques need to be utilized for the package examination, said the regulatory authority. In the context of law enforcement, the result of a screening test is only indicative and other analytical techniques must be applied to unequivocally confirm that an SFFC product has been detected. Documentation should be prepared with information on everything that is known about the sample, including the point of detection, the volume of suspect product found, a visual description of its packaging and the dosage units including any signs of irregularities. Further, the supply history of the product and what led to its detection including adverse effects and any other relevant information needed to be provided. This entry was posted in Central Drugs Standard Control Organisation, WHO and tagged counterfiet medicines, fake medicines, WHO, World Health Organisation. Tuberculosis epidemic in India is “larger” than what was previously estimated, the World Health Organisation (WHO) today said while asserting that the country was one of six nations which accounted for 60 per cent of the new cases in 2015. The Global Tuberculosis Report 2016 which was released today, however, said the number of TB deaths and incidences rate continue to fall globally as well as in India. “The TB epidemic is larger than previously estimated, reflecting new surveillance and survey data from India. However, the number of TB deaths and the TB incidence rate continue to fall globally and in India,” WHO said. It said that in 2015, there were an estimated 10.4 million new (incident) TB cases worldwide, of which 5.9 million (56 per cent) were among men, 3.5 million (34 per cent) among women and 1.0 million (10 per cent) among children while people living with HIV accounted for 1.2 million (11 per cent) of all new TB cases. “Six countries accounted for 60 per cent of the new cases – India, Indonesia, China, Nigeria, Pakistan and South Africa. Global progress depends on major advances in TB prevention and care in these countries,” the global health body said in its report. It said worldwide, the rate of decline in TB incidence remained at only 1.5 per cent from 2014 to 2015 and stressed the need for it to accelerate to a 4–5 per cent annual decline by 2020 to reach the first milestones of the End TB Strategy. “In 2015, there were an estimated 480000 new cases of multidrug-resistant TB (MDR-TB) and an additional 100000 people with rifampicin-resistant TB (RR-TB) who were also newly eligible for MDR-TB treatment. “India, China and the Russian Federation accounted for 45 per cent of the combined total of 580000 cases. There were an estimated 1.4 million TB deaths in 2015, and an additional 0.4 million deaths resulting from TB disease among people living with HIV. Although the number of TB deaths fell by 22 per cent between 2000 and 2015, TB remained one of the top 10 causes of death worldwide in 2015,” it said. WHO said that in 2015, 6.1 million new TB cases were notified to national authorities and reported to WHO while notified TB cases increased from 2013–2015, mostly due to a 34 per cent increase in notifications in India. “However, globally there was a 4. 3 million gap between incident and notified cases, with India, Indonesia and Nigeria accounting for almost half of this gap. The crisis of MDR-TB detection and treatment continues. “In 2015, of the estimated 580000 people newly eligible for MDR-TB treatment, only 125000 (20 per cent) were enrolled. Five countries accounted for more than 60 per cent of the gap – India, China, the Russian Federation, Indonesia and Nigeria,” it said. WHO said that the upward revisions to estimates of the burden of TB disease in India for the period 2000–2015 follow accumulating evidence that previous estimates were “too low”. “This evidence includes household surveys, a state-wide TB prevalence survey, studies of anti-TB drug sales in the private sector, notification data and new analysis of mortality data. “Since India accounts for more than one quarter of the world’s TB cases and deaths, these revisions have had a major impact on global estimates. Estimates for India are considered interim, pending a national TB prevalence survey scheduled for 2017/2018,” WHO said. It said that in the African Region where the burden of HIV-associated TB is highest, 81 per cent of notified TB patients had a documented HIV test result. “The proportion of known HIV-positive TB patients on ART was above 90 per cent in India, Kenya, Malawi, Mozambique, Namibia and Swaziland,” it said. Giving out details about India, WHO said mortality (HIV+TB only) was 37 per thousand while incidence (HIV+TB only) was 113 per thousand. Estimated TB incidence in India in 2015 in the age group of 0-14 years for both males and females was 255 per thousand. Commenting on the report and the disease in the South East Asian Region which also includes India, WHO Regional Director (SEARO) Poonam Khetrapal Singh said TB remains a serious problem across the region and requires the fullest attention and strongest commitment of governments. “As outlined in WHO’s new global report on TB, a number of countries in the region are among the world’s highest TB burden countries, while revised estimates based on increased case-reporting and enhanced surveillance show that the TB caseload is higher than previously projected. “TB is the single largest cause of death of any infectious disease in the region, and remains responsible for incalculable suffering, premature mortality, impoverishment and foregone development,” she said. She said though countries have been making efforts to end TB and the number of TB deaths and its incidence rate continues to fall, at the current trend the region would not be able to achieve the SDG targets. “A newer and bolder approach is needed to bend the curve faster and sharper to achieve the global targets. This means intensifying measures to ensure early diagnosis and treatment, such as active case-finding and enhancing access to cutting-edge diagnostic tools. “Adopting newer approaches of case diagnosis, community based treatment and treatment of latent infection. It means integrating TB programmes with existing health systems, thereby amplifying the effect these interventions have,” she said. Singh also said that funds must be allocated accordingly, while political commitment must be fortified and both must occur at national and international levels. This entry was posted in Health, Indian Council of Medical Research, TB, Vaccines, WHO. In the run up to the World Health Organisation (WHO)’s National Regulatory Authority (NRA) Assessment of Vaccines in February 2017, a delegation of WHO is scheduled to visit India for conducting an observed audit in select vaccine manufacturing facilities from October 17 to 21, 2016 where observers from WHO shall assess the performance of the GMP inspectors of CDSCO and SLAs during the entire inspection process. This will be a preparation visit which will decide the agenda of WHO delegation’s visit to be held in February next year. In February visit, WHO experts will take a final decision on whether National Regulatory Authority of India is capable to meet international standards for vaccine regulations. “WHO will assess the overall capability of drug regulator that reflects how the vaccine manufacturers are being regulated in terms of safety, quality and effectiveness of vaccines produced in the country. The drug regulator is assessed for compliance against the revised WHO NRA indicators. In addition to the general framework for the system, the regulatory functions which will be evaluated include marketing authorization and licensing; post-marketing surveillance, including for adverse events following immunization; lot release by the national regulatory authority; laboratory access; regulatory inspections of manufacturing sites and distribution channels; and authorization and monitoring of clinical trials. National drug regulator capability is assessed by WHO every three years and the last assessment happened in 2013. It is due in 2016,” said Drug Controller General of India (DCGI) Dr GN Singh. In the run up to WHO delegation’s visit this month, DCGI held a meeting with vaccine manufacturers on September 26 to educate them about quality management system including post marketing surveillance, GMP, GLP compliance etc. The visiting WHO team will assess certificates issued to Indian vaccine manufacturers by CDSCO to meet International criteria of WHO. Thirty representatives from vaccine manufacturers including Cadila Pharmaceuticals, Chiron Behring Vaccines, Haffkine Bio Pharmaceuticals, Panacea Biotec, Serum Institute of India, Bharat Biotech, Indian Immunologicals, Shantha (Sanofi) Biotechnics, GreenSignal Bio Pharma, Biological E Limited attended the meet. If the WHO team concludes that the NRA for vaccines is functional, Indian vaccine manufacturers will become eligible to apply for prequalification status of their products. Prequalification status indicates that a vaccine meets international standards. Prequalification status is mandatory for vaccine manufacturers exporting their products to other nations through United Nations procuring agencies. This entry was posted in Central Drugs Standard Control Organisation, Drug Controller General of India, Vaccines, WHO. More than 50 years since a vaccine became available, the World Health Organisation (WHO) has officially declared measles eliminated from the Americas – not just the US, but the land mass stretching from Canada to Chile, and all the countries in between. It’s the first region in the world to have rid itself of all local cases of the viral disease, and a pretty huge deal for public health. “This is a historic day for our region and indeed the world,” said Carissa Etienne, director of the Pan American Health Organisation, who made the announcement with the WHO. Of course, even though the disease has been eliminated within the Americas, people can still catch the virus in the region – there have been 54 cases this year in the US alone – but these infections all originate overseas and are brought in by travellers. The last home-grown outbreak in the Americas was Venezuela in 2002. The US was declared free of measles way back in 2000. Unfortunately, eliminating a viral disease from one region doesn’t mean we’ve eradicated it completely – that would be when an infectious disease has been removed from the entire planet. To date, humans have only managed to successfully eradicate one disease from the planet. Thanks to the successful smallpox vaccine developed by Jonas Salk in 1796, the last case of smallpox was reported in 1977, and the disease was announced eradicated in 1980. But we’re getting very close to eradicating a second disease, too. Guinea worm disease, caused by the parasitic Guinea worm, now only exists in four countries, with its territory shrinking thanks to water filtration devices. None of this news means we can get slack with vaccinating though. Measles has only been eliminated through something known as ‘herd immunity‘ – which means that roughly 90 to 95 percent of a population is immunised against a disease, so random outbreaks won’t be able to take hold. That level of protection safeguards the small percentage of people who can’t be vaccinated for health reasons, newborn babies, and those for whom vaccines aren’t effective. Once immunisation rates drop below that herd immunity level, though, we see imported outbreaks become more sustained, and the disease spreading within local populations again – which happened in 2014 in California. And given the fact that measles is still widespread in many parts of the world, it’s worth staying vigilant. So stay protected, and stay educated, but also take a minute if you’re in the Americas to give yourself a pat on the back for helping to eliminate a viral disease that still kills more than 100,000 people around the world each year. Hopefully, one day, we’ll be able to announce that the disease is eradicated altogether. That’ll be a really good day. This entry was posted in Clinical Research, Health, USFDA, Vaccines, WHO and tagged America, measles, USA vaccine, Vaccine. On September 21, United Nations had a high-level meeting on antimicrobial resistance, which required commitments from heads of state to address the causes of antimicrobial resistance. The declaration resulted from the meeting also requires countries to come up with a two-year plan to curb the use of antibiotics in humans, animals and agriculture. The pressure is on India, the world’s largest consumer of antibiotics and where carelessness in antibiotic use and environmental antibiotic pollution has been documented. While the government drafted policy measures to tackle the problem, it has not been so forthcoming on the issue. In 2010, when the Lancet published a study identifying an enzyme that rendered bacteria resistant to broad spectrum of antibiotics as New Delhi Metallo-beta-lactamase-1, it raised the hackles of the Indian government. The authors had said that they detected the bacteria in patients from the United Kingdom who had been to India and Pakistan for treatments. The health ministry described the report as “malicious propaganda” at the time. The following year, though, the health ministry released a policy document, the National Policy for Containment of Antimicrobial Resistance. However, little was done to implement the policy. In August 2012, all major medical societies of India got together in Chennai to formulate a roadmap to tackle the challenge of drug resistance in India. The stakeholders, including policy makers, adopted a document called Chennai Declaration. At the time, no politician or pharmaceutical company came forward to support the cause. In the past few years, the government has taken some steps to tackle the problem. 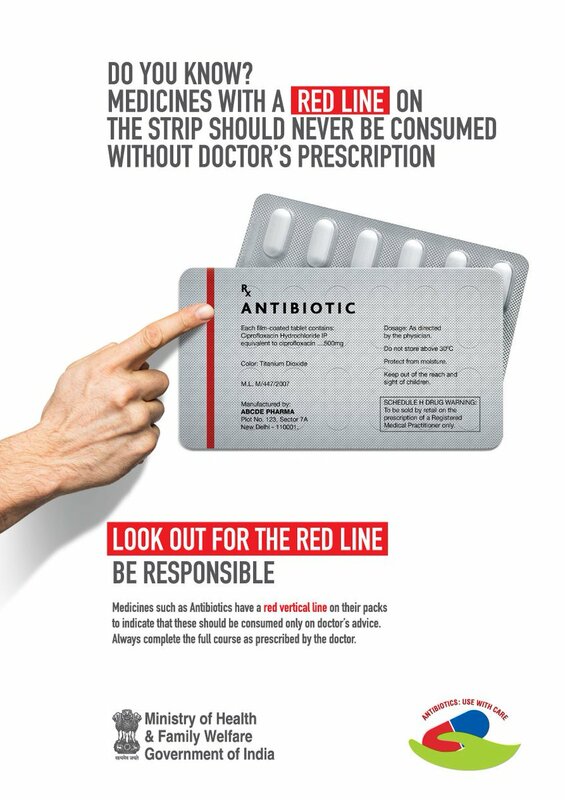 In February this year, Union Health Minister JP Nadda launched a multimedia campaign called “Medicines with the Red Line” to raise awareness on the rational use of medicines which carry a red line on their strip. This was the first mass campaign by the government that acknowledged the public health crisis and attempted to address the issue. Advisory from the Ministry of Health and Family Welfare. While there are some policy level changes, the government is not committing to implementing these policies at the international level. Prasad was referring to surveillance of hospital acquired infections conducted in 10 hospitals across the country by both the health department and by the Indian Council for Medical Research. Hospital acquired infections refer to infections that develop as a direct result of healthcare interventions such as medical or surgical treatment or from being in contact with a healthcare setting. Surveillance would include monitoring the infection levels, their impact, and the intervention at various healthcare facilities. The initial results of the survey are not good, Prasad said. While not disclosing more details, he said that the surveillance showed the presence of several bacteria in hospitals there are resistant to drugs. The health department has released hospital infection control guidelines and standard treatment guidelines, which are available online. They are also holding workshops for doctors from secondary and tertiary level hospitals. “We will also start an awareness multimedia campaign for the public soon,” said Prasad. In 2013, the Drugs and the Cosmetics Act has already introduced schedule H1 for third and fourth generation antibiotics for which the chemist has to maintain prescription records for a period of three years, which is open to inspection. There were already some drugs on schedule X that could only be stored in hospitals, and not be sold over the counter. While the Centre can make policies and educate the states, it is finally up to the state administration to take up the cause. Health is on the state list and the final implementation of any policy is done by the states. Whether it is the rational use of antibiotics, restriction of over-the-counter drug dispensation, self medication, or controlling the use of antibiotics to raise animals, the state has to take a stronger stand. The lack of medical education poses yet another problem. “You can pass a masters in medicine without answering a single question on antibiotics,” said Dr Chand Wattal, senior microbiologist with Sir Ganga Ram Hospital in Delhi. Wattal has conducted research in the area of drug resistance and was also part of the committee that drafted the 2011 policy. There is some resistance from the unexpected quarters, like pharmacists. In Maharashtra, the pharmacists went on strike several times opposing the stringent implementation of antibiotic regulations, including that of the need for a pharmacist in each chemist shop. Prasad said that formulating a law can also be completely useless in this respect. “We passed the Clinical Establishment Act in the Centre. Very few states have adopted it,” he said. Some states though, have taken some initiative. Kerala seems ahead of others in this respect and has released a plan in January this year. For a few years now, Ghafur and Dr Sanjeev Singh, the medical superintendent of Amrita Medical Sciences in Kochi, have been lobbying with the government to take this issue seriously. The authorities have taken note. On September 23, 35 medical colleges changed their curriculum to include antibiotic stewardship, a programme that works for rational use of antibiotics. For any policy against antibiotic resistance to work, there has to be multi-sectoral engagement of various departments including education, sanitation, animal husbandry, agriculture, and health among others. The key to tackling the issue head on is to engage politicians, feels Ghafur. This entry was posted in Drug Controller General of India, Health, United Nations, WHO and tagged United Nations.